The late Zaha Hadid's designs for a spiralling car park and public plaza in Miami have been rejected by city officials, five years after the architect was hired for the project. Miami city commissioners rejected the plans during a meeting last Wednesday and voted to solicit new proposals. The architect died unexpectedly aged 65 on 31 March in Miami after suffering a heart attack. While Baghdad-born Hadid's studio was based in London, she had a second home in Miami Beach. 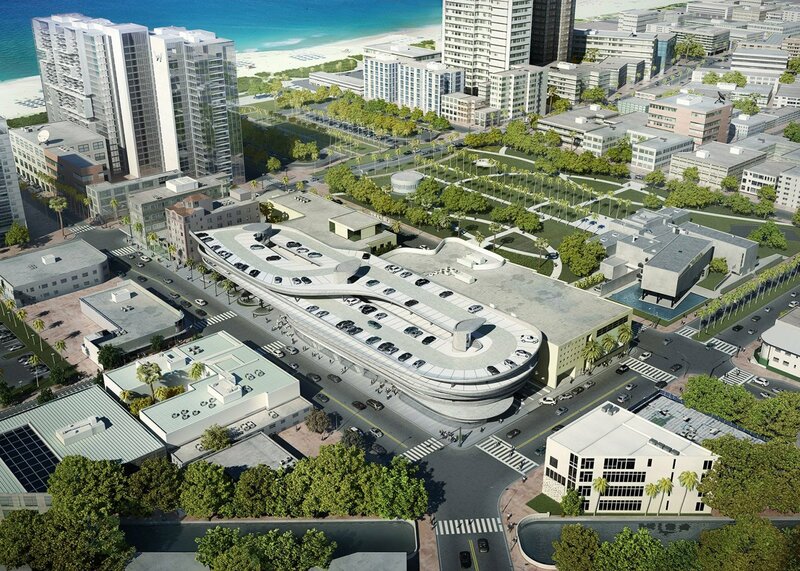 Hadid was hired in 2011 to design a parking garage and public plaza for the Collins Park neighbourhood in Miami Beach. 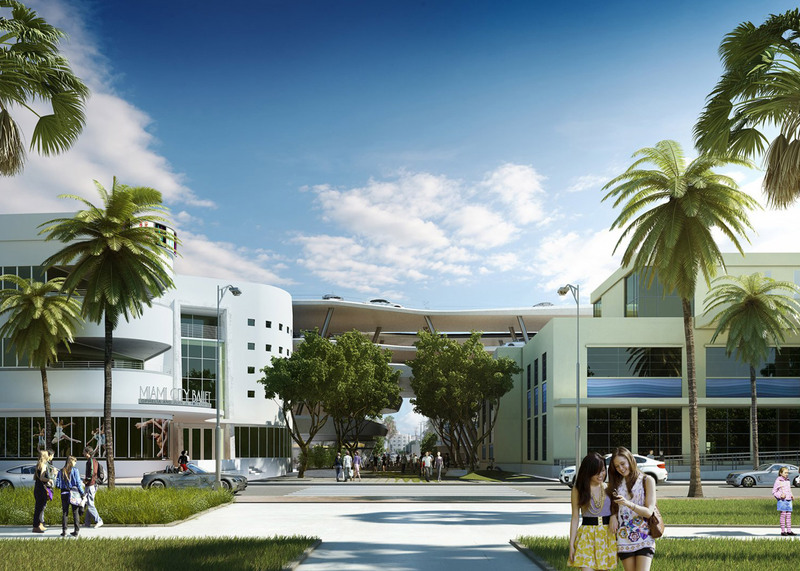 Her project was to replace two surface parking lots behind the Miami City Ballet building and a library. Several of the city's car parks have been designed by high-profile architects, including Frank Gehry, Herzog & de Meuron and Enrique Norten. Last year, the studios Leong Leong and IwamotoScott completed a garage in the Miami Design District wrapped in perforated metal. 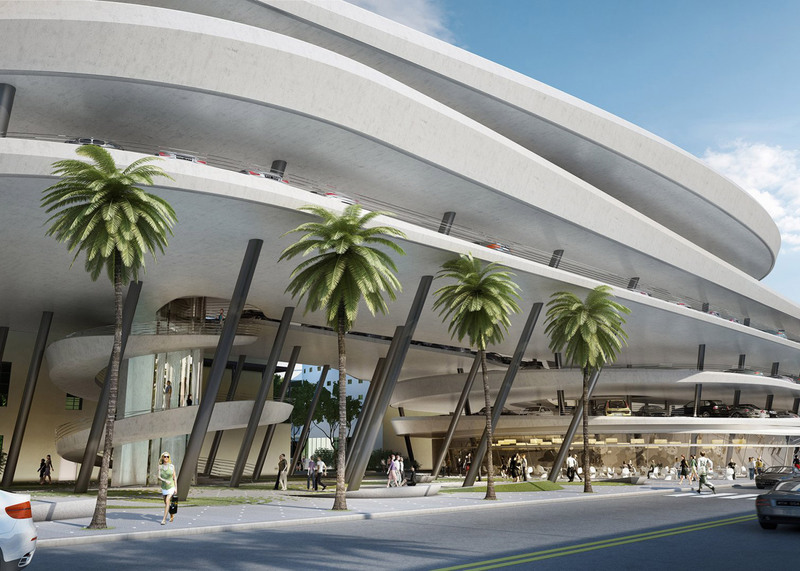 Hadid's initial scheme was estimated to cost $50 million (£35 million) — nearly double the $27 million (£18.9 million) the city had allocated for the project, according to the Miami Herald. 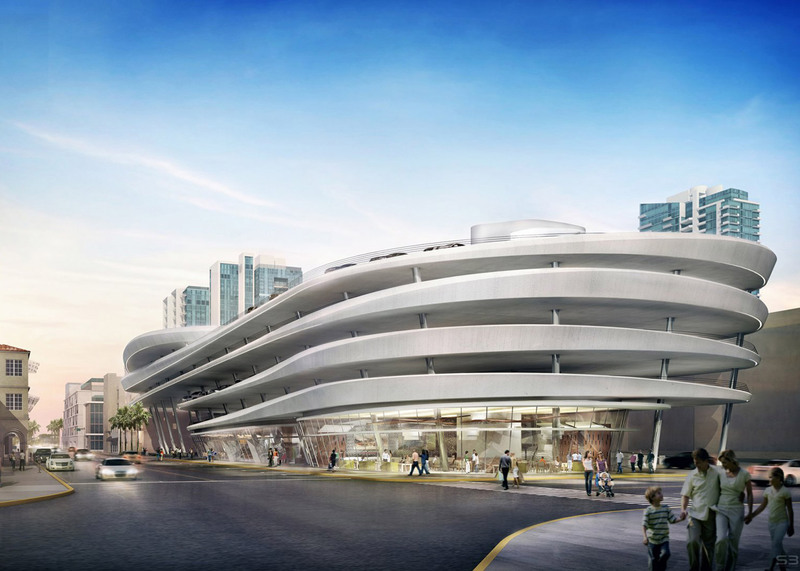 Hadid submitted a revised scheme with a price tag of $24 million (£16.8 million). While it met budgetary requirements, city officials reportedly did not like the modified design, which featured a smaller plaza, a garage with less parking spots, the addition of ground-level parking and reduced retail space. 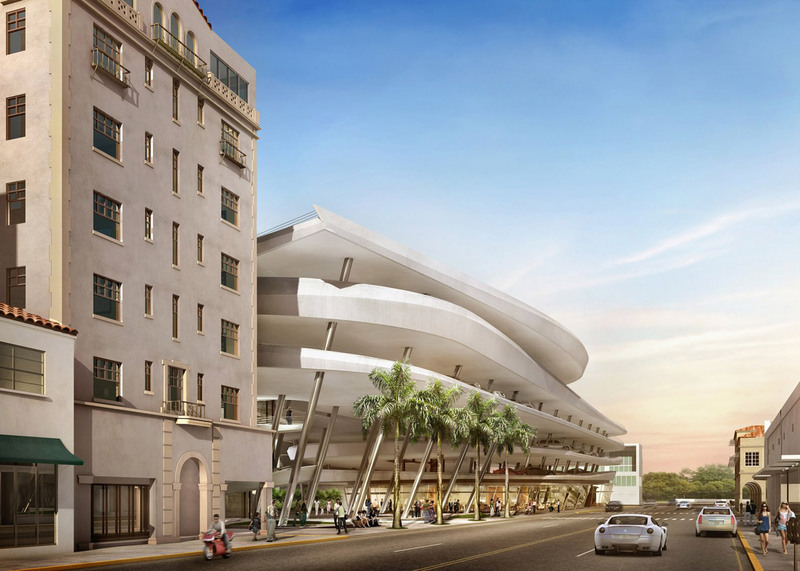 The scheme also lacked the "flare and panache" of the original proposal, according to the Miami Herald. "There's a point when you start cutting that you lose the essence," said Gustavo Berenblum, principal of Berenblum Busch Architecture, which was Hadid's local partner for the project. He added that Hadid's "hands were on the design until the last moment". The commission will solicit new proposals that incorporate workforce housing, according to reports. 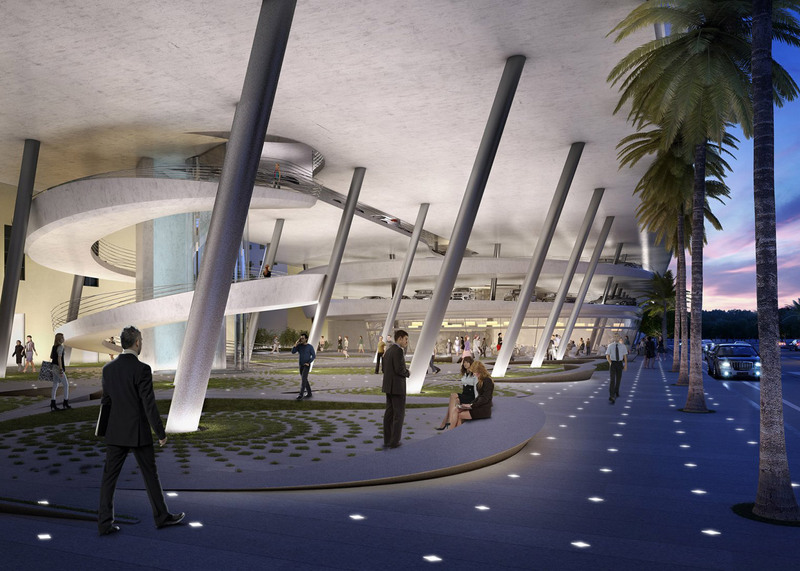 Hadid's One Thousand Museum — a 62-storey residential skyscraper — is currently under construction in downtown Miami. It features a sculptural exoskeleton made of concrete. The project is part of a boom in developments by high-profile designers that are transforming the city from a retirement resort into a major cultural destination.